Reynolds Contracting offers a variety of services for Charlottesville earthwork contracting. Our specialties include excavation, site clearing, grading, drainage solutions, and final site preparation for both residential and small commercial properties. 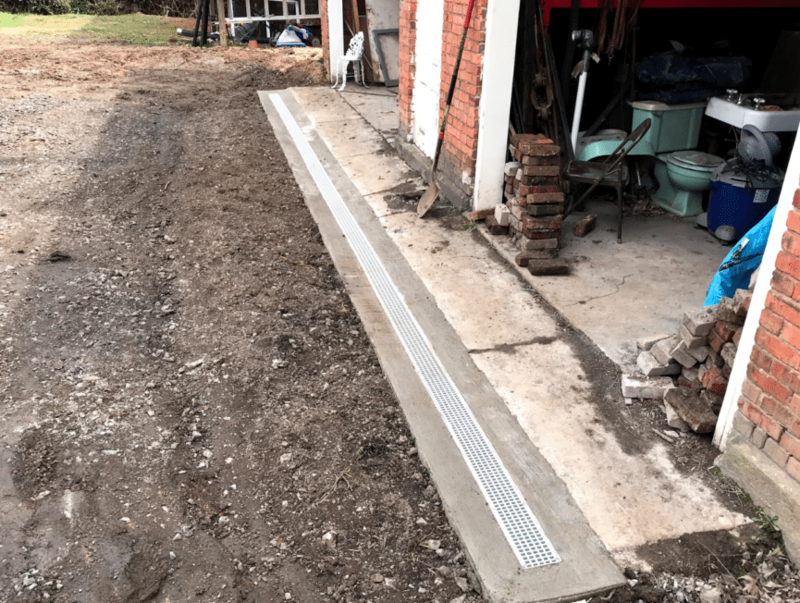 We recently completed a driveway repair to improve drainage and water management around the home. Every job is unique, with individual challenges and obstacles. Even on the seemingly simple projects, we have learned to expect the unexpected! We approach each situation with both experience and innovation, bringing our knowledgeable team to assess and address the individual aspects of the project. 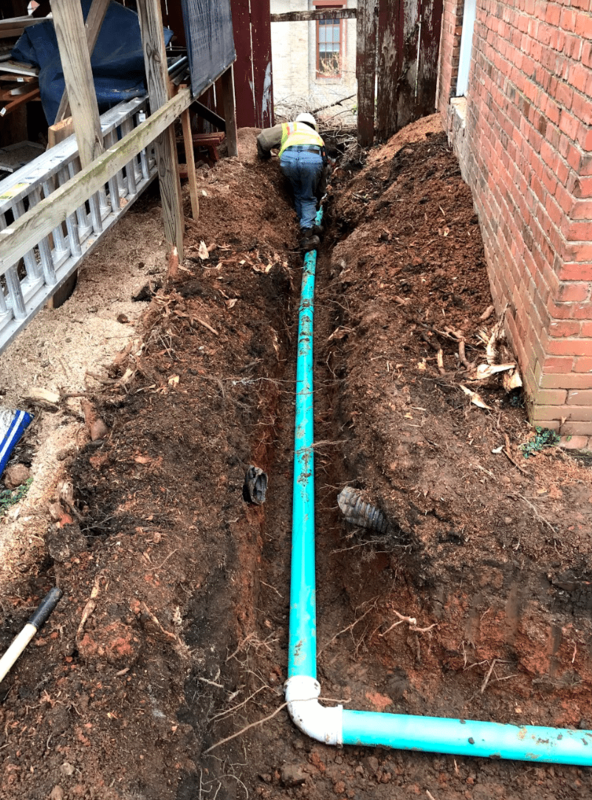 On this featured project, a run-of-the-mill drainage job turned into a specialty project quickly when we learned about the history of the property. The building is an historic structure, protected by zoning and other limitations due to its age. Working on historic properties is a privilege, carefully combining the present with the past for the future. Here, the water was not draining properly is it flowed down the driveway. We installed a channel drain to catch the water, controlling its direction and destination. 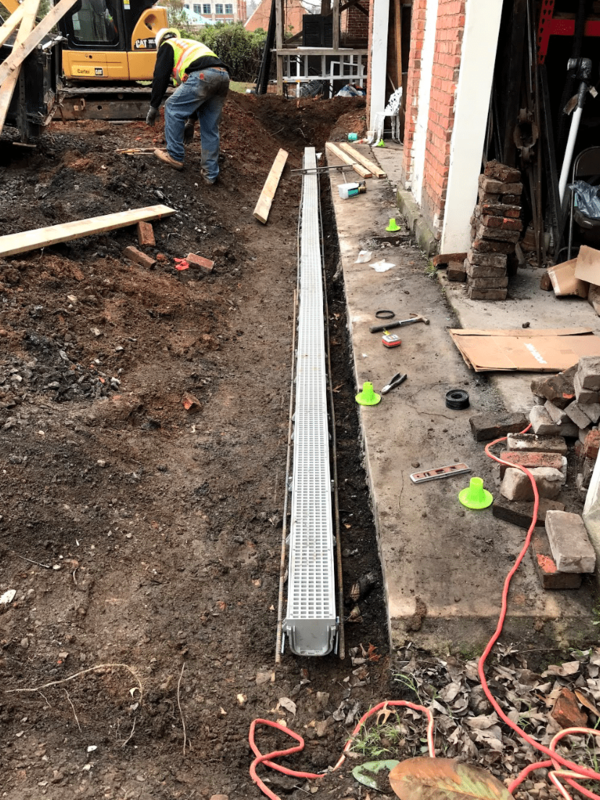 We also installed a pipe to catch what the channel drain collects, which runs down the side of the building and out the back. If you have followed our blog for any amount of time, you know how important water management is! Mismanaged water is the source of all sorts of problems for homeowners: erosion, settlement, and foundation damage to name a few. We were thrilled to help preserve this historic property by effectively managing the water for years to come. Working on historic properties, we love to see how previous generations solved problems similar to the ones we face today. With that in mind, we work carefully to make sure future generations look back at our work with admiration and respect. For all of your Charlottesville earthwork contracting, call Reynolds Contracting at 434-293-6724 today!